When your time with Disney finally comes to an end, it’s heartbreaking. It feels like your program went by so fast. You went from counting down the months until you checked in to counting down the days until you have to leave. You get your last schedule, you start to pack up your side of the room, you try to cram everything you didn’t do the last few months into a few days and you avoid goodbyes for as long as possible. And then, if that wasn’t bad enough, your last night on your program comes. 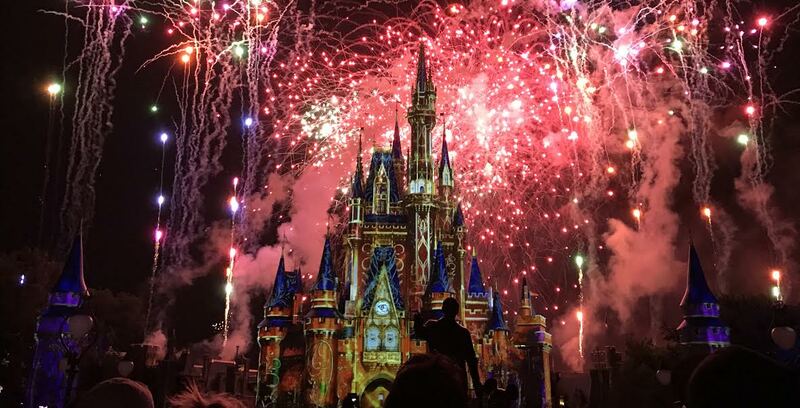 You stand in the middle of Main Street with the people you’ve become closest to, whether it’s your roommates or friends you’ve made at work, and you watch Wishes for the last time as you full on ugly cry. You take a million pictures, you smile through the tears and you hold onto everyone for dear life as you thank them for being a part of your journey and that you can’t wait until you’re reunited. You pack up your last few things, say goodbye to the apartment you probably had a love/hate relationship with and you hit the road. And the minute you drive away, you wish you could do it all over again. So what happens when you leave? What happens when you finally make it back home and Disney is no longer in your backyard? You get home and your family and friends shower you with love. Of course you’re happy to see them…but you really miss your friends from your program. Everyone asks you how your experience was and they want to hear all about it. You love talking about Disney so you proceed to excitedly tell them about everything you did. The only problem is that halfway through your monologue you get extremely sad because it hits you, once again, that it’s all over. When someone asks you to show them where something is, you are way too quick to whip out your Disney point, which results in some really weird stares because non-cast members don’t get it. You have a hard time not calling every little girl you encounter a princess and every little boy a prince. You wake up in the morning and instantly get depressed when you realize you can’t be in Magic Kingdom within 15 minutes. You go on Youtube and listen to your favorite park music, whether it be Fantasmic! or Festival of Fantasy. You look through all of your pictures from your program over and over again because you need to hold onto the magic somehow. Every Disney parks commercial makes you cry. In fact, any mention of anything Disney related makes you cry. But I believe the biggest thing that happens is you realize just how much of an impact Disney had on your life. The program isn’t just fun and games; if you do it right, you really learn something about yourself and about what path you’re meant to take. You get out of the program what you put into it, and if you give your all you will be rewarded in more ways than one. You are so lucky to have had an experience that was so extraordinary that it made saying goodbye so hard. If you are meant to return some day, you will. I promise.